Element Templates can be used with Camunda Modeler version 1.0 and higher. They are currently available in BPMN diagrams only. Element Templates may be subject to change in the future. As an example, this may lead to changes in the way you configure templates in JSON. Element templates are a way to extend the Camunda Modeler with domain specific diagram elements such as service and user tasks. 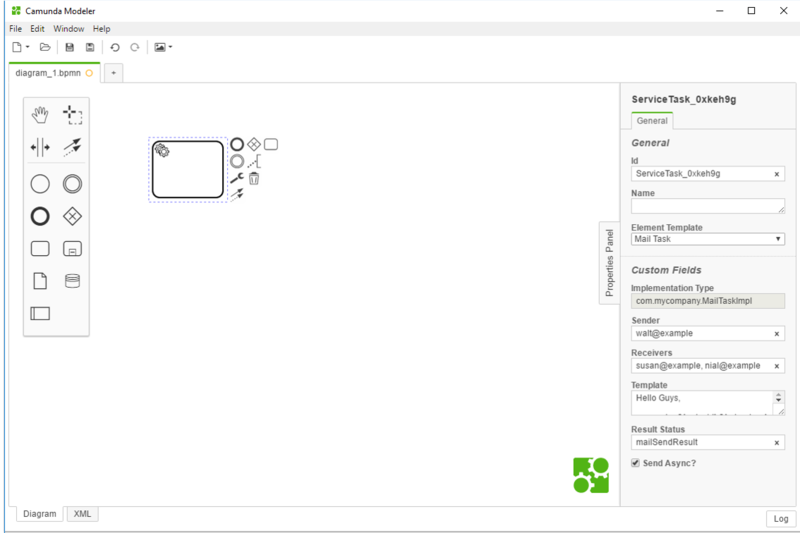 If applicable, element templates can be assigned to a diagram element via the properties panel. Once selected, they configure the diagram element with pre-defined values for BPMN properties, input/output mappings as well as extension properties. As seen in the Mail Task example above the modeler allows properties of custom elements to be edited, too.